Maybe you’ve heard about a swim spa, but what can you do in it? 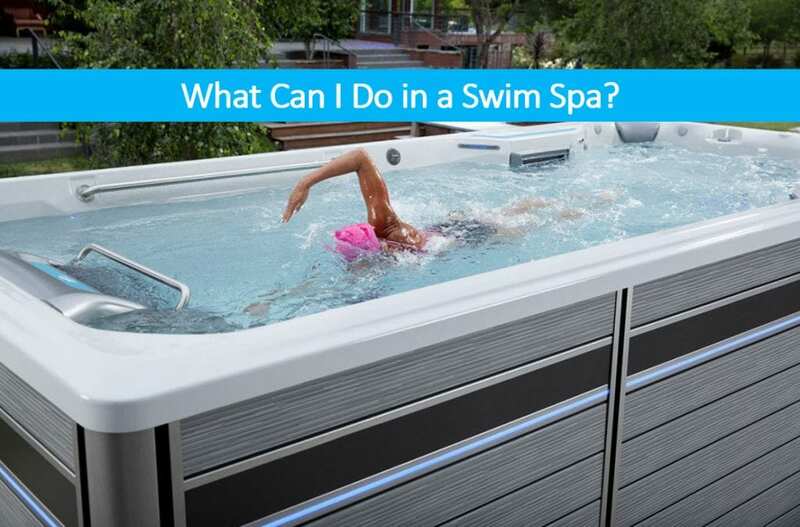 With an adjustable current, awesome accessories and maybe even a hot tub at one end, here are three super fun things to do in a swim spa at home. Swim Laps Without Hitting the Wall – With an adjustable current of a swim spa, it’s possible to swim laps without ever hitting the wall or having to turn around. Swim at a pace that’s comfortable, and adjust the current as you become faster and stronger. Rejuvenate with Hot Tub Hydrotherapy – The best swim spas offer far more than just swimming. With heat and hydrotherapy jets, your swim spa doubles as a relaxing escape for easing aches and pains, relieving stress and getting that “me time” you deserve. Entertain the Kids with Body Surfing – Don’t forget about the kids, a swim spa is the perfect place for surfing fun! Turn up the current, add some body boards and let the kids enjoy some exciting wave surfing or rafting from the comfort of home.